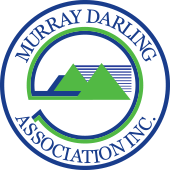 Delegates to the Murray Darling Association 71st Annual General Meeting held in Barooga in September 2015 considered a range of motions. Members resolved to undertake actions and advocate on issues of regional and Basin-wide significance. Below is a list of the motions that were considered, actions arising following the meeting, and responses received. Full details of the annuual general meeting are recorded in the Agenda and Minutes. 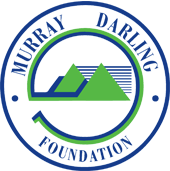 5.8 National Road Signage Lost Note: An alternate proposal was discussed, and generally agreed, although was not put to the vote: "That the Murray Darling Association negotiates directly with the MDBA to consider the merits of a joint project to have appropriate signage and branding to identify the Murray Darling Basin for the purposes of public interest and education." Councils want to protect prime agricultural lands. Need to maintain a sustainable basin. If a coal mine can be approved on the Liverpool plains, can occur anywhere. Mining licences have been granted in the past, only to find the assessments were not vigorous enough. Oversees mines have had devastating impacts on water resources. Recognition that the project is not actually on the Liverpool Plains, but near to. Media reporting appears to have been not entirely accurate. Important that decisions are made based on accurate, local knowledge. The project has passed State and Federal EIA and other approval processes . Any formal opposition to the project needs to be based in evidence and lodged in the appropriate way. Many councils support mines in their local areas, as they provide economic stimulous and diversity of employment. It is a risk for the MDA to oppose the project without full knowledge of the risks and merits. Local, state and federal authorities have assessed the risk and merits.